Today we a new card from nature’s prescriptions! GP’s in the UK are prescribing nature instead of pills. We thought that these prescriptions lend themselves to curing the monkey mind too. 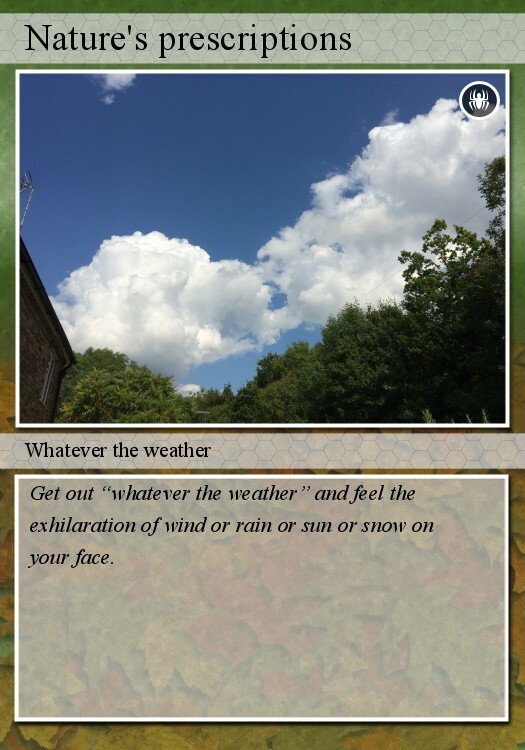 So, we aremaking a few cards adapting some of their nature prescriptions. Want to see a full list? We oblige. A calendar with lots of lovely nature activities for each month of the year, but there is a catch. You will have to travel to Shetland to do some of the suggested activities…this is why we are adapting some to worldwide online use. Enjoy.